Hello The Ninth Age community! We are so glad to beback with our second Kickstarter! This is not ready yet, but we would like to show you some news! 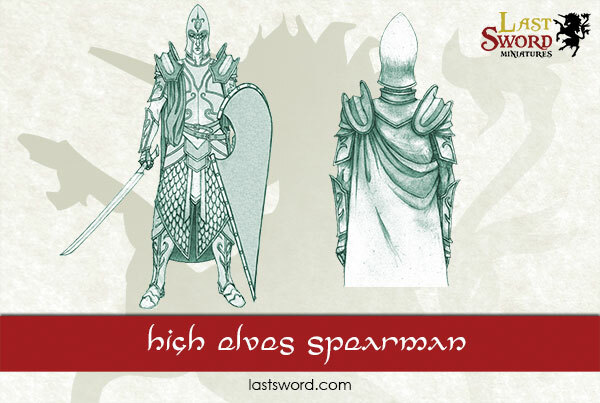 The Elven lords is our following miniatures project. 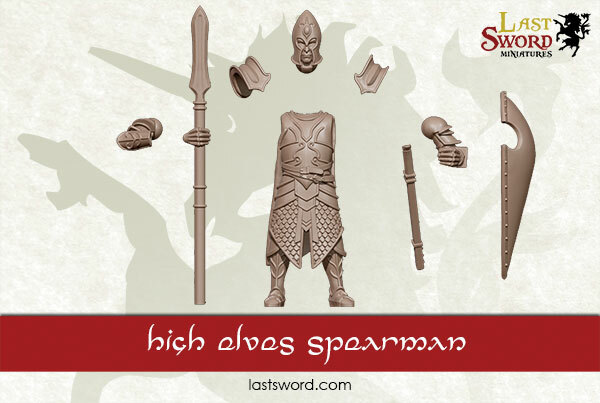 Consist in two multipose regiment and two monopose foot characters for a highborn army. We would like to be ready as soon as possible to launch our kickstarter, but still have much to do! What do you think about our Citizen spears? The post was edited 6 times, last by LastSword ( Mar 19th 2019, 11:41am ). I'd love to see them able to form proper phalanx with first row lowering the spears most (no too much though to allow aligning with enemy), second less and the rest holding them up. Thats is the idea Jim! Exactly that! We are glad that you like it! 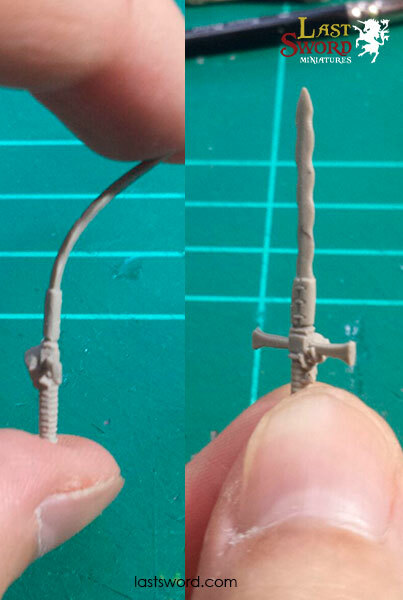 I like them much better than GW's old spear Elf models. Can you tell us what the second regiment will be? Archers? Also, what material will you be using for casting? Tx guys for your comments! Arraeh, you are right. Bowmen will be the second regiment. Both of them are multicomponen and multipose, even you will mix both bits, to make for example a heavy armoured bowman. 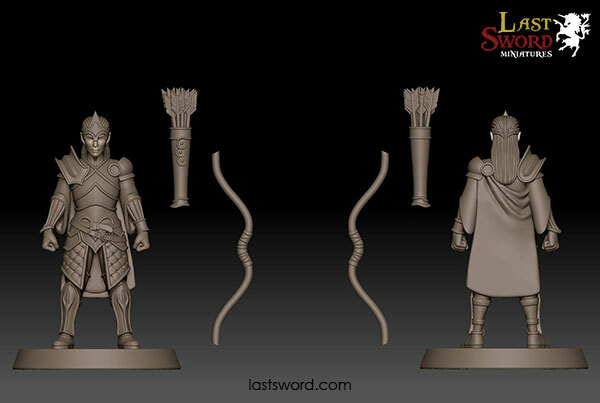 As Reichguard Knights Kickstarted, infrantry figures will be crafted with plastic resin and foot characters in metal. Plastic resin is a new and great material to craft figures. High detailed models, and a very easy surface to be painted. Besides you can blend the pieces with no problem (is not usually break a sword if you crash your figure against the floor). No problem with high temperatures, like polyurethane resin. I took a picture, me blendinga sword . Those elves looks great, way better than GW's. When will you release some picture/concept art of the Bowmen ? 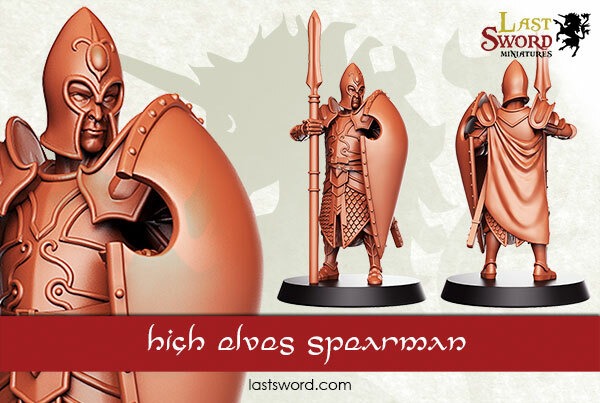 Will they come with the same pose for easier mixing or do you intend to make different postures (for bowmen and spearmen)? these are really awesome and I will definitely consider this kickstarter. I can't wait to see the bowmen. I would 2nd that sylvan guard with sylvan blades comment, but you arent doing Sylvan elves right now haha. Thank guys for your comments! I love wood elves. They are probably my favourite race, and have a great army too. When you are designing figures, you would like to do everything, but it can't be possible, so we must to decided wich ones first... and it is a shame. I need to take some pictures of the bowmen, but definitely we will show here and in our blog. Next week! I will try to do my best to do it, I promises! Bogeyman, both regiment are multi component and multipose, so you will mix them... archers with heavy armour for example. awesome, can't wait to see the archers. The mixing of the kits will give us some good sea guard models as well, so thanks for that. Sea guards complement will look great like a goal! Who was asking about our citizen archers? I love the models, and am very glad our army will get some quality representation. My first impression of the spear elf was he is too heavily armored, but I must say it has grown on me. Perhaps an idea for a stretch goal would be to have female representation in the units? Isn't archers cloack too flat? I'm really sold on your guy's vision of highborn elves. I would probably commit today if I could to 60 spears and most likely 40 bowmen to replace dated old models. The post was edited 1 time, last by msu117 ( Sep 1st 2017, 5:56am ).